CELLO takes a unique approach to incorporating music into the core of the narrative. This is the story of a maestro who is losing his ability to commune with what he loves most in life: playing his cello. Director Angie Su carefully researched and collaborated on creating a story which incorporates an authentic representation of the classical music world and the connection a performer has with the written music. The story in CELLO is told directly through music, while incorporating images and dialogue. Lynn Harrell is a world renowned solo cellist, chamber musician, conductor and teacher whose presence has been felt throughout the music world for over 45 years. A two-time Grammy Award winner, he is also the recipient of numerous other awards including the Piatigorsky Award, and the Ford Foundation Concert Artists' Award. Attracted by the character, concept and story of the film CELLO, Lynn has graciously lent his talents as an actor and musician. Randy Kerber began his first national tour with Bette Midler in 1977 at the age of 19. Kerber was nominated for an Oscar in 1986, along with Quincy Jones and others, for Best Original Score for the motion picture, "The Color Purple." He was nominated for a Grammy for his arrangement of "Over the Rainbow" for Barbra Streisand. Kerber has been an orchestrator on over 50 films, including work with Academy Award winner James Horner. He worked with Eric Clapton as keyboardist, orchestrator, and conductor on the film Rush - playing on the Grammy Award-winning song "Tears in Heaven." Recently, Randy Kerber has performed piano solos on Steven Spielberg's Lincoln, Robert Zemeckis' Flight, and Steven Soderbergh's Behind the Candelabra, for which he also trained Michael Douglas. Kerber has been working closely with actor Jason Schwartzman for his role in the Disney film, Saving Mr. Banks, and actress Zoe Saldana for her turn as Nina Simone in the biopic, Nina. 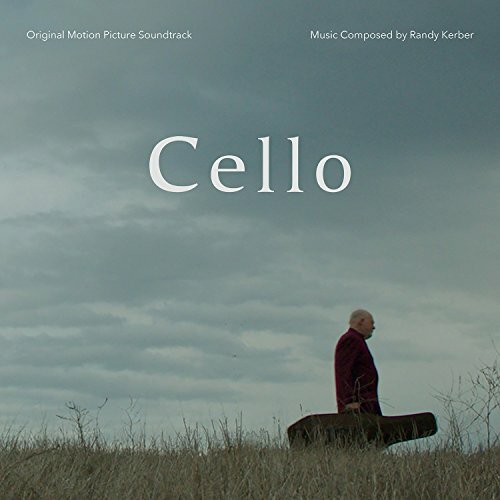 Randy was recently interviewed by KUSC-FM, a Los Angeles-based classical music station, on the score of CELLO. Listen to the interview here. For his final concert, Cello’s main character, the master cellist Ansel Evans, selects one of the most beloved post-modern cello pieces. Through preparing for and performing the piece, he uncovers great depths within himself and reflects on a life well-lived. In order to have Elgar's Cello Concerto fit within the context of the movie, the filmmakers went to great lengths to carefully pair down the near half-hour piece to a span of just a few minutes. With help from master-conductor and orchestrator William Ross (Star Wars, Harry Potter, Forrest Gump) and master cellist Lynn Harrell, the filmmakers were able to find a story within the piece which matches the struggle of the main characters. Randy Kerber also wrote the film's title song, “Remember Me,” lyrics by Glen Ballard, and sung by multi-platinum winning recording artist Lara Fabian. “From the first moment I heard the title song, ‘Remember Me,’ every word and every note resonated,” says Lara Fabian, who has sold over 20 million records worldwide, and is considered one of the world’s top female vocalists. “The song interconnects in the most poetic way, one question: How do we want to live the rest of our lives when we are affected with a disease like that? I think that’s entirely personal. And not to be judged any way, shape or form. It’s extraordinarily cruel to witness someone who is not able to even touch you anymore,” says Fabian, who has a family member with ALS. CELLO soundtrack was recorded over three days at legendary SONY Barbara Streisand Stage in Culver City, CA.